Almond Extract goes well with vanilla, chocolate, maple, or butterscotch, and has a special affinity for fruit such as raspberries and strawberries, peaches, raisins and plums. Pure Almond Extract is made with the purest oil of bitter almond, to deliver the gold standard of flavor and quality. Use sparingly to give the aromatic flavor of almonds to salad dressings, sauces, custards or ice cream. 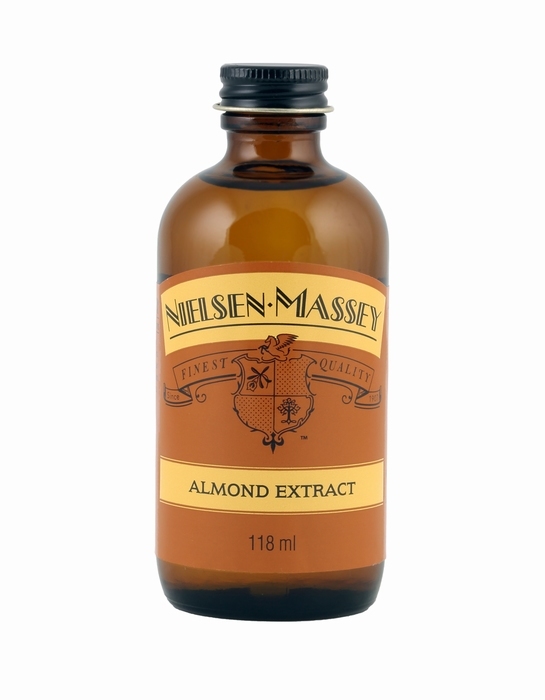 We have Almond extract in 60ml, 118ml and 530ml.